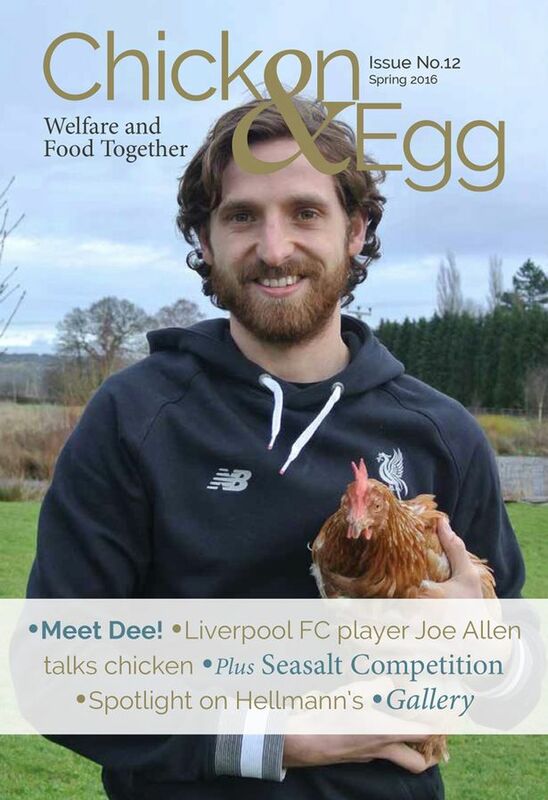 Liverpool midfielder Joe Allen is the proud owner of 16 chickens. Liverpool midfielder Joe Allen is from a small town in rural Wales, so it’s not that surprising that he’d own several chickens. What is surprising is that Chicken & Egg​ is a real magazine. In that case, Allen makes a perfect cover model. The latest issue of Chicken & Egg features Allen on the cover, wearing a Liverpool hoodie and holding one of his 16 chickens. Who Ate All the Pies has a few nuggets from Allen’s interview about his fowl. “[Allen’s wife] Lacey was behind the decision. We both have an interest in animal welfare but she came up with the idea to save hens and I agreed it was something that would be great to do. We didn’t have any hens growing up but wanted to help chickens after they finished their commercial lives. They’ve got some pretty cool names, too, like Silkie Steve, Silkie Steve Jr. and Chickaletta.